James Patterson's greatest detectives are together for the first time! Read 3 electrifying thrillers featuring Alex Cross, Michael Bennett, and the Women's Murder Club. This book was not what I thought it was. It appears that it is 3 separate short stories which was a little disappointing because I was really getting into the 1st one and then all of the sudden it was over with no apparent closure. I wouldn't recommend it. 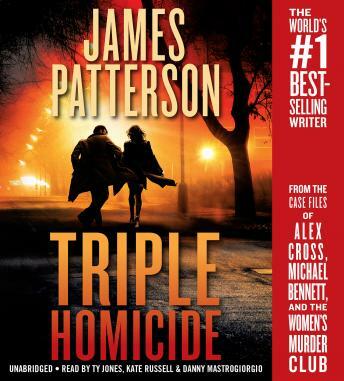 enjoyed the Alex Cross story; MIchael Bennett was OK; but not impressed with the story from Women's Murder Club. Narration for Alex Cross and Michael Bennett was sufficiently done but the narration with the Women's Murder Club was lacking.